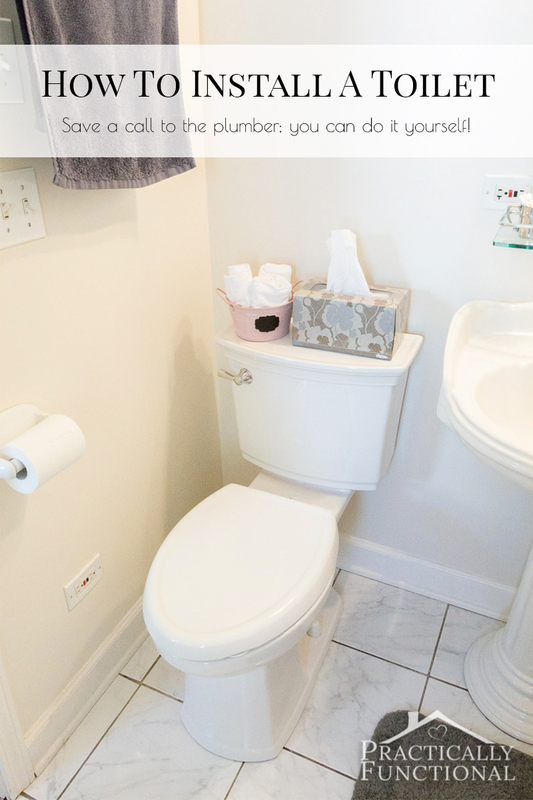 When we moved into this house we noticed that the toilets were not low-flush toilets. We decided we should replace them with a newer model at some point, but then life got in the way and it slipped our minds. Then one day we noticed the upstairs toilet had a small leak. We tried tightening the nuts at the back of the toilet to pull it tighter against the floor, but it didn’t stop the leak. 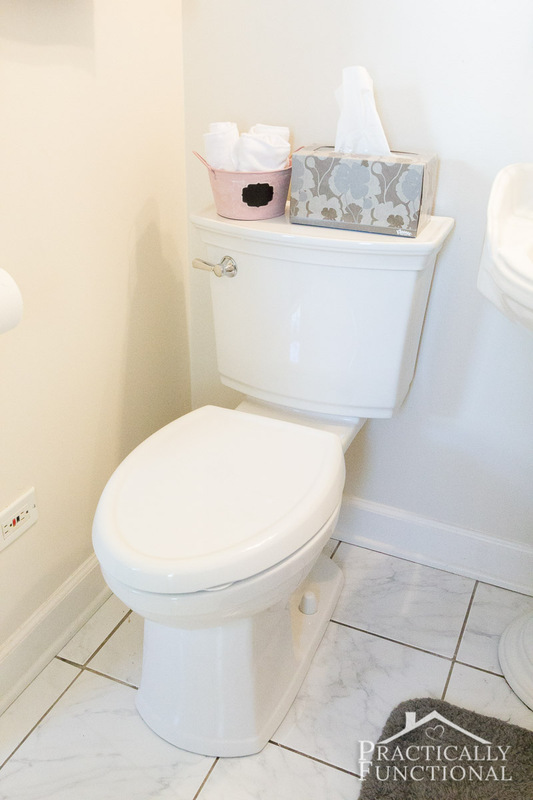 So we decided that this was the perfect time to not only replace the leaky toilet, but to replace the downstairs one as well with low-flush toilets! It may seem like a big job (and it definitely is a lot of heavy lifting! 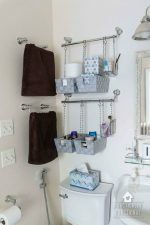 ), but you can definitely replace a toilet yourself, or with the help of a friend, and save yourself the trouble and cost of calling a plumber. 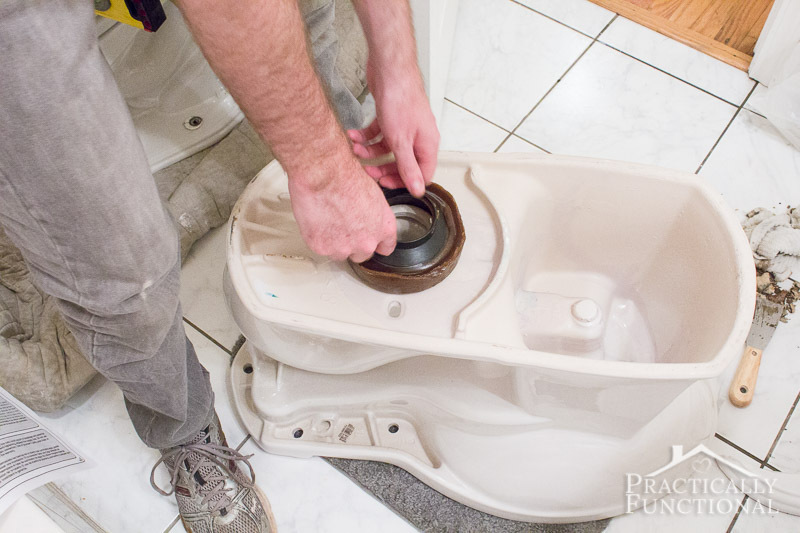 This tutorial will show you how to install a toilet, with photos every step of the way! 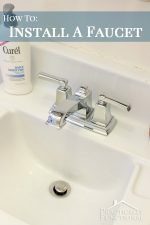 In my experience, plumbing is definitely one of the more tricky things to DIY, but that doesn’t mean it can’t be done! 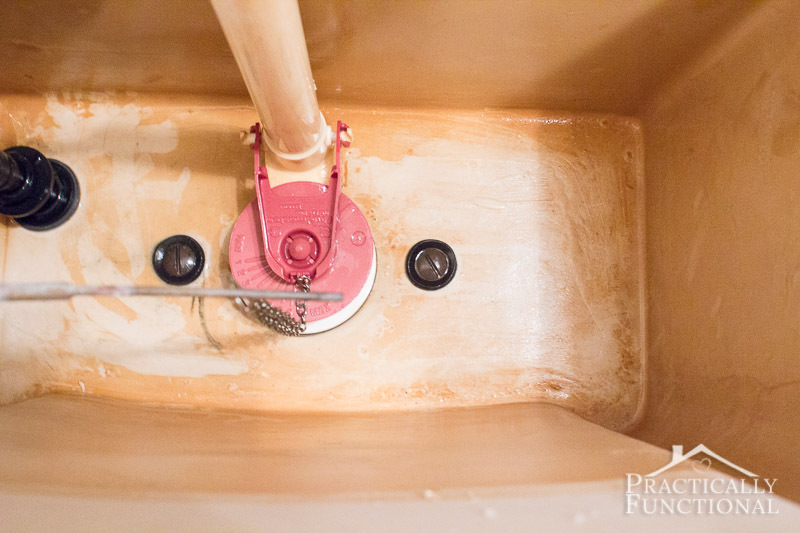 Just like with installing a kitchen faucet, removing the old fixture is potentially the hardest and most frustrating piece of the whole project; if you’re going to run into issues like corrosion, broken pipes, etc., this is probably when it will happen. 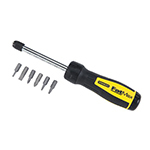 So make sure that you have someone to help you, and try to tackle the job during normal business hours so that you can run to the hardware store if you need to replace a part. 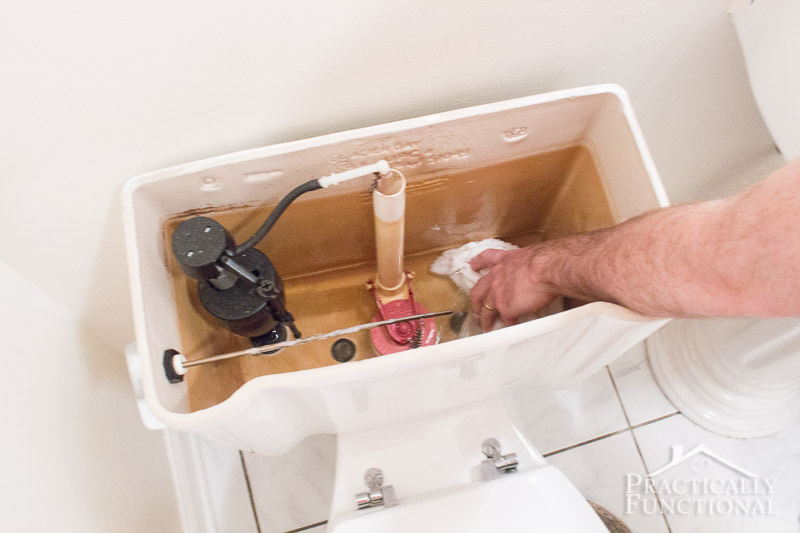 The first thing you need to do is remove your old toilet, and in order to do that you need to empty out all of the water. Start by locating your water supply line and shutoff valve; normally you’ll find this on the wall behind your toilet. 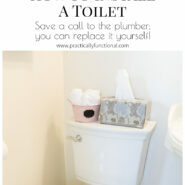 Turn the valve to turn off the water, then flush the toilet. 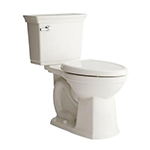 The water should drain out of your toilet, but it shouldn’t refill like it normally does. 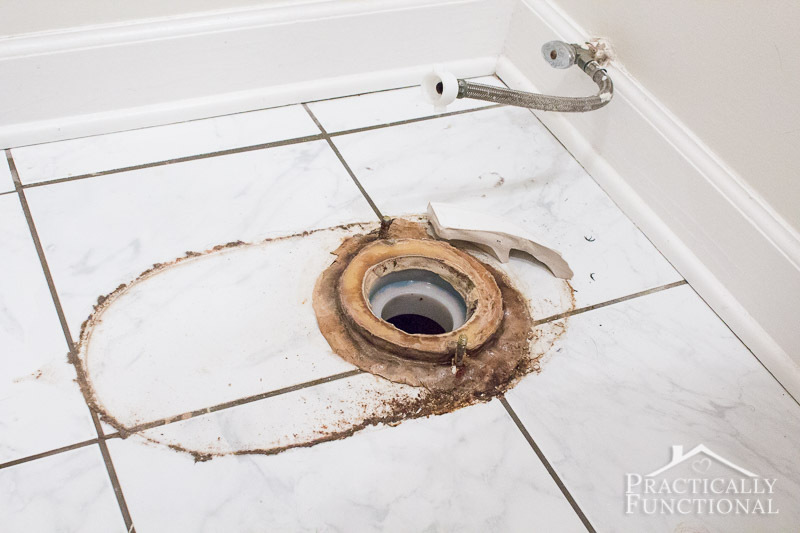 Remove the toilet tank lid and look inside; the water should be mostly gone from there as well, but if not, flush the toilet again. Then take an old rag and dry up any remaining water in the tank. This step isn’t 100% necessary, but I figure it’s better to dry up the water now than accidentally spill it later! 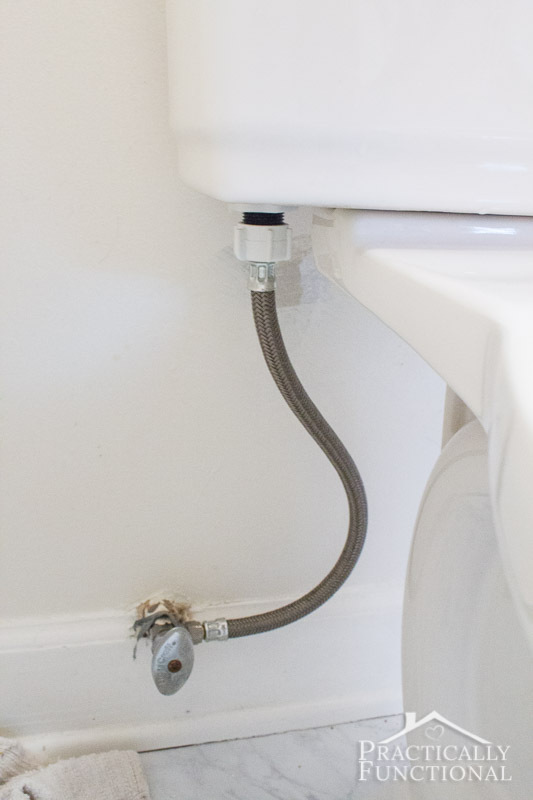 Once the toilet is empty, disconnect the toilet supply line from the toilet tank. 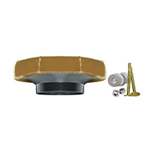 The supply line should come out from the shutoff valve and attach to the bottom or side of the toilet tank at the back. 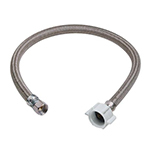 Unscrew the end that is connected to the toilet tank, leaving the end that is connected to the shutoff valve. 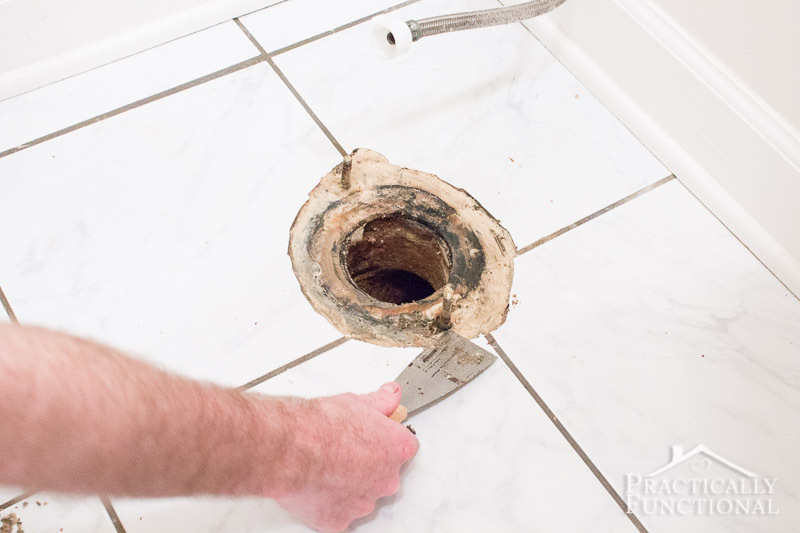 NOTE: If you notice that your toilet supply line is old or corroded, now is a great time to replace it! We actually intended to reuse our existing supply line, but once we had the new toilet installed we realized it was too short to reach the new tank. 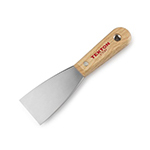 This is why it’s best to do this project during the day so you can run out to the hardware store and buy a replacement! Inside the toilet tank, at the bottom, will be a few screws or bolts that attach the tank to the toilet. 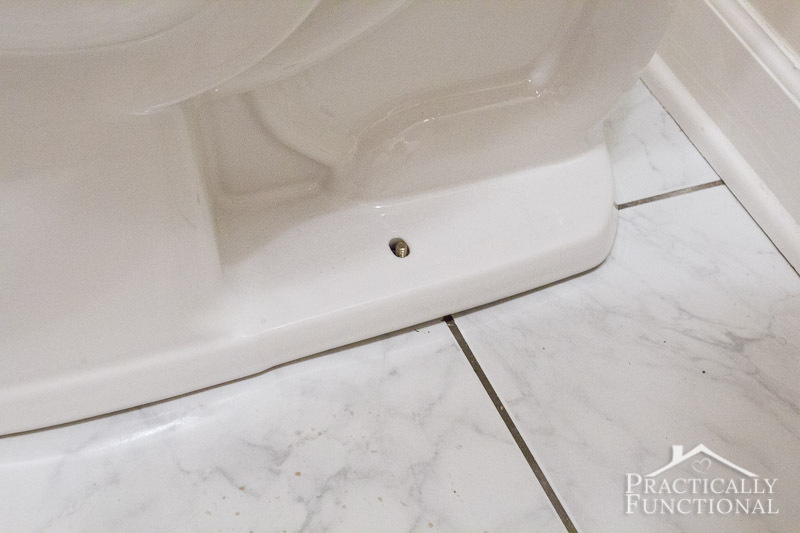 Loosen those screws so that you can remove the toilet tank, and set it aside. On the ground near the back of the base of the toilet you should see two plastic caps (one on either side) that cover the nuts that attach the toilet to the floor. Unscrew the plastic caps, or pop them off. When you remove the toilet you should see something like this. Gross! But don’t worry, that giant brown pile is not sewage; it’s the old wax ring that seals that toilet drain. 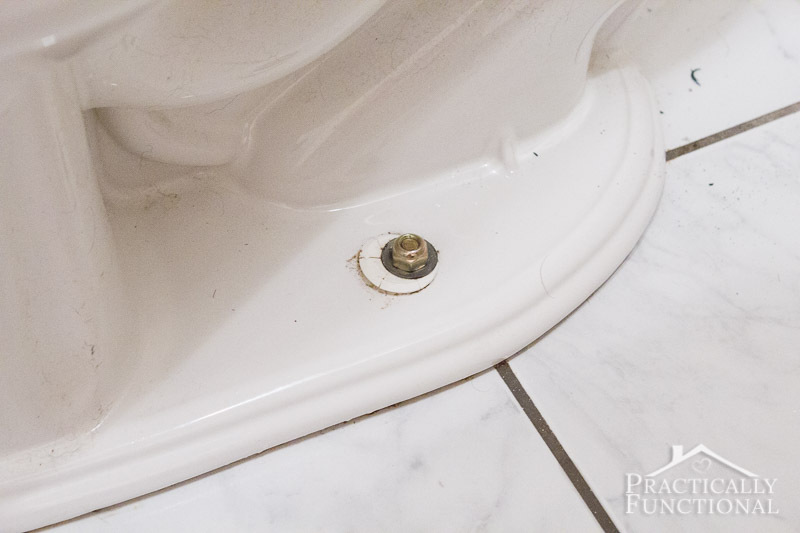 Clean up the floor around the drain pipe, and scrape away all of the old wax using a putty knife, being sure to leave the closet bolts and closet flange (the ring that the bolts protrude out from) securely in place. Now it’s time to install the new toilet! 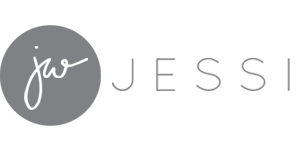 Follow the directions that came with your new toilets to get the specific details for your model, but the basics are all the same. 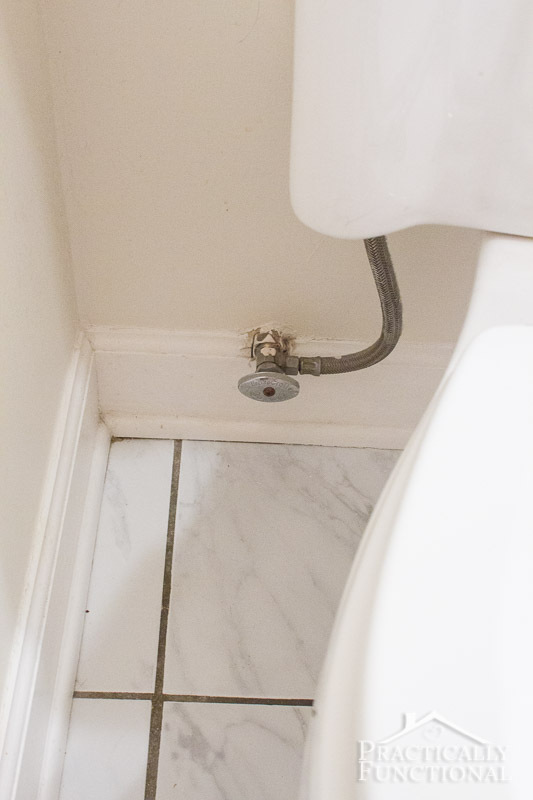 Turn the toilet right side up and gently lower it down over the drain pipe, lining it up so that the closet bolts come up through the holes in the toilet itself. 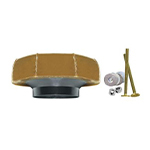 We just reused the closet bolts that were already installed in the floor, but if your wax ring comes with new closet bolts and you want to install the new ones, you can. The bolts sit in a track in the closet flange, head down. 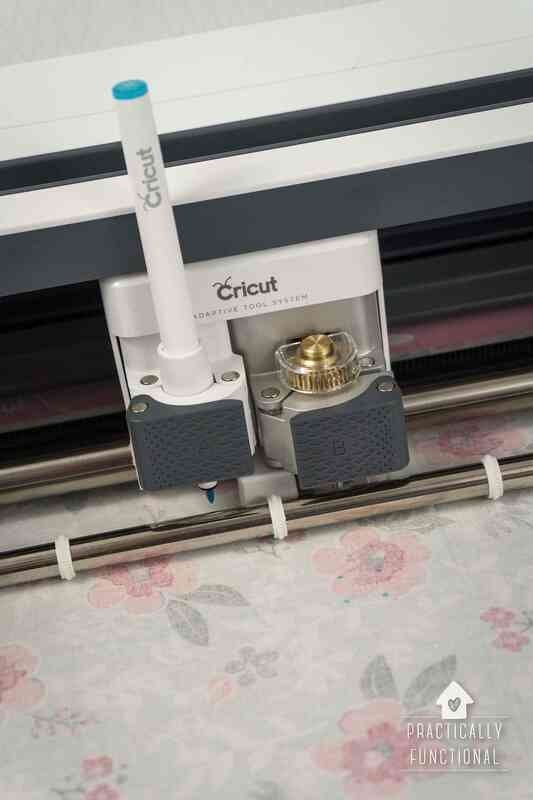 Take the old bolts and slide them in the track until you can pull the heads up out of the flange, then install the new bolts the same way, sliding them in the track until they “lock” in place and the heads can’t come up through the track. Then set your toilet on top of the bolts. 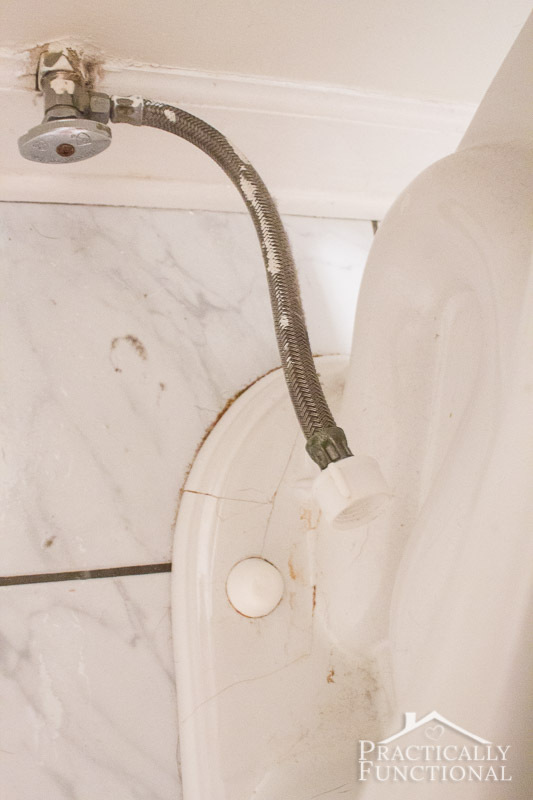 Slip the washers that came with your toilet on over the bolts, then screw on the new nuts hand tight. 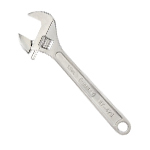 Tighten the nuts with a wrench, only going about a quarter turn at a time and alternating between both sides. Once you meet firm resistance, stop! You’ll crack the bowl if you tighten the nuts too far. Then put the new plastic caps on to cover the nuts. Next, install the toilet tank. 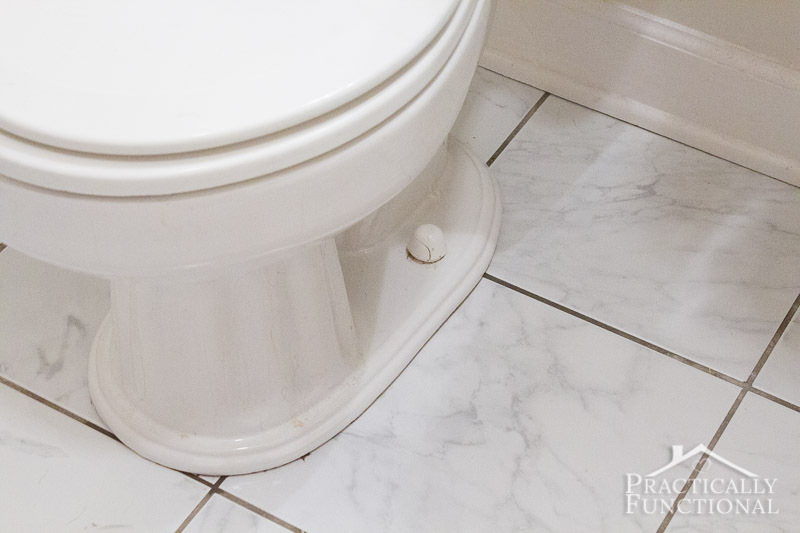 Look at the instructions that came with your toilet for specifics, but basically the tank will have a few bolts or screws that protrude out of the bottom and line up with holes in the back of the toilet. 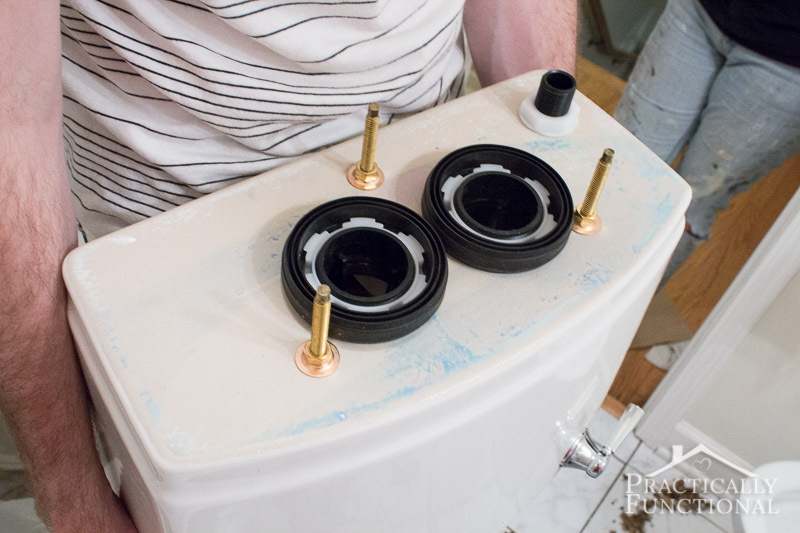 Set the tank at the back of the toilet, lining up the bolts, and then attach the tank with nuts or screws, or however it says to attach it in your instructions. Again, don’t over tighten the bolts or it will crack the porcelain! Our toilet came with instructions about adjusting the float inside of the toilet tank to help the toilet flush more efficiently and use less water, so we adjusted the float accordingly. Install the toilet seat and lid according to the instructions that came with your toilet. Then flush your toilet to fill the toilet bowl with water, and you’re done! Flush the toilet about five times and watch for leaks. 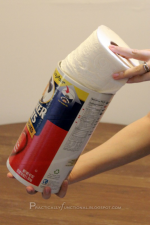 I recommend putting a few paper towels down around the base of the toilet for the first day or so, just to make sure you don’t have any tiny leaks. But if the paper towels are still dry 24 hours later, then you have successfully replaced your toilet! 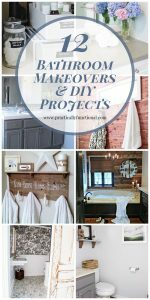 What if you have an old house with cast iron pipes? There was no mention about how this would be done differently. The wax ring “rots” much quicker on cast iron and putty should be used instead. Paid a plumber to learn this. Thanks for letting us know Jo!